The leader of the Mainstream of APC in Delta State Olorogun O’tega Emerhor has reacted to the recent interview by Senator Ovie Omo-Agege describing the embattled Senator as a drowning man grabbing at straws to hang on to his political life. Omo-Agege’s plan from day one was to ride on the back of Chief Great Ogboru to return back to the senate. He set about this by promising Chief Ogboru of making him Delta State governor in 2019. Against the run of play of equity and political reality, Omo-Agege sold this dummy to Chief Ogboru that power rotation and zoning in Delta State do not matter, that the Delta North do not deserve to complete their 8 years, that it does not matter, that without the inputs and cooperation of Delta North or South, only the Urhobos of Delta Central can make Ogboru governor of Delta state. Despite the well laid out plan of the Mainstream of the APC which properly positioned over 4 strong Delta North candidates in the person’s of Prof Pat Utomi, Hon Victor Ochei, Dr Cairo Ojougboh and Dr Leroy Edozien, to fly the APC flag and deliver the party in the 2019 elections, Senator Omo-Agege succeeded in turning the National APC against the APC mainstream in Delta and had his way to foist Ogboru and himself on the party. Now the verdict of abysmal failure is out and Omo-Agege is out there shamelessly attempting to pass the buck. 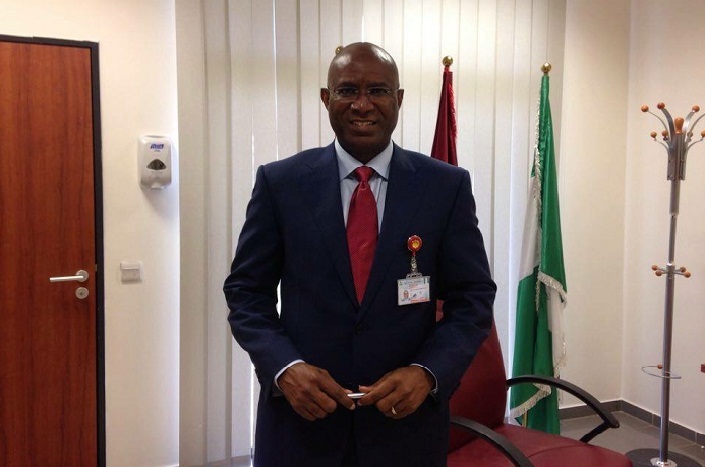 Omo-Agege instead of making Ogboru governor actually sabotaged him after purportedly winning his senatorial bid. How else do you explain Omo-Agege pulling in over 10,000 votes for himself from his Orogun ward 1 in the Senatorial elections of February 23 yet on March 9, in the Governorship elections of Ogboru, that same ward recorded under 2,000 votes only? Omo-Agege not only sabotage Ogboru and the APC during the governorship elections, he undermined the so-called federal might under his charge to fail Ogboru in a deal with PDP. Omo-Agege selfishly used and dump Ogboru while the chances of Delta APC. Urhobo politicians should work together and settle their grudges through UPU.